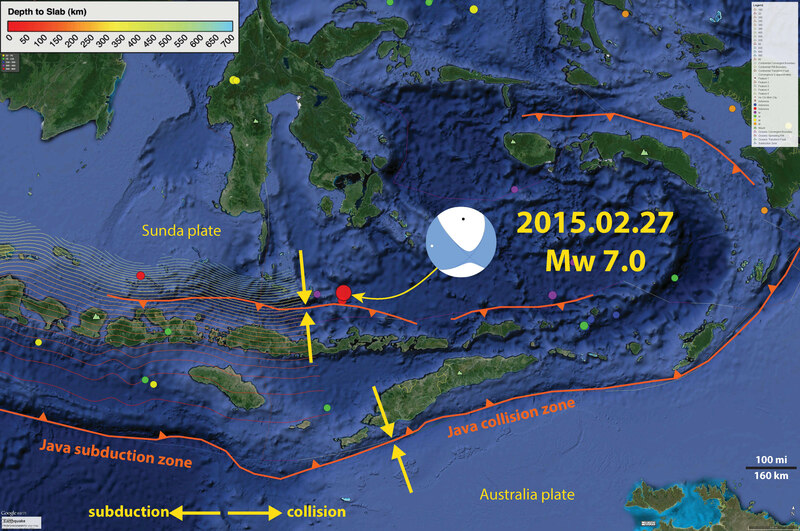 A deep earthquake has occurred probably within the downgoing Indo-Australia plate. The moment tensor shows oblique extension (part strike-slip, part normal). The depth aligns with the depth of the plate given the Hayes et al. (2012) slab models (which ends immediately adjacent to this earthquake, probably due to the more complicated double collision/subduction zone here). 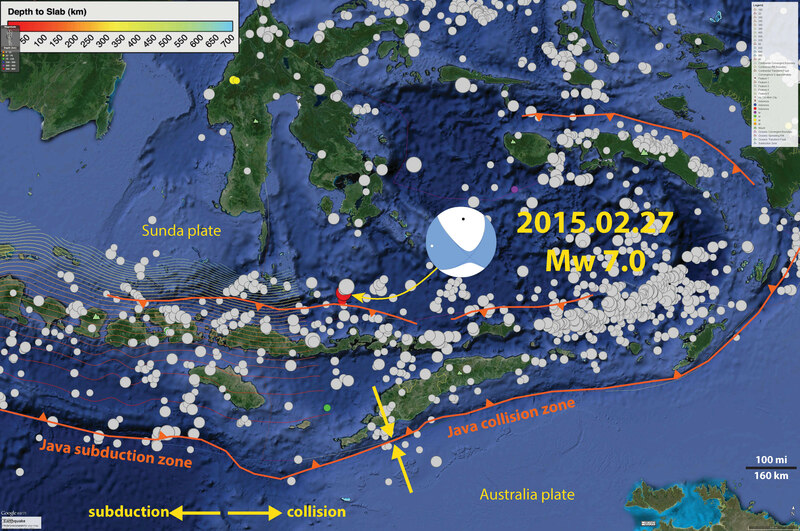 Here is the same map with historic earthquakes plotted as well. Randy Web has a blog about the tectonics of this region here. Here is his map showing where he interprets the continental crust to be (which matches what I know of it, based on the literature I have read). 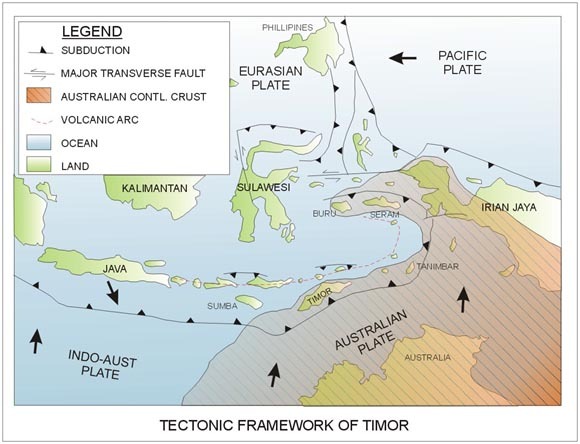 Here is another view of the local tectonics from Darman (2012). Hayes, G.P., Wald, D.J., and Keranen, K., 2009. Advancing techniques to constrain the geometry of the seismic rupture plane on subduction interfaces a priori – higher order functional fits, Geochem. Geophys. Geosyst., 10, Q09006, doi:10.1029/2009GC002633.